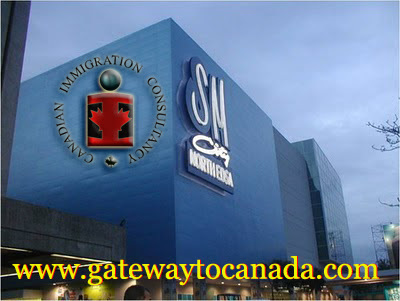 CIC now at SM North EDSA | December 8, 2010 Soft Opening - Gateway to Canada | Canada Immigration Consultancy! SM North Edsa, Quezon City. I will be there tomorrow, December 8, 2010, for the soft opening ceremony. If you're interested to live and work in Canada and wishes to know how, come and visit the office. For appointment confirmation, contact me at mob no 0928-5008826. And by the way, December 8, 2010 is a non-working holiday in Batangas.